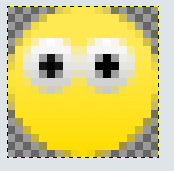 Anyway, today I'm going to teach you how to make smilies in Gimp. This is a very easy tutorial. 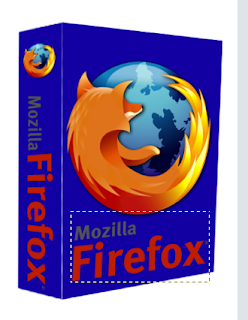 1) Create a new 19x19 transparent image. 2) Zoom in to about 800%. Click the ellipse select tool . Create a circle that fills up the entire space. Fill it with a dark yellow. There you go! A smiling smiley! 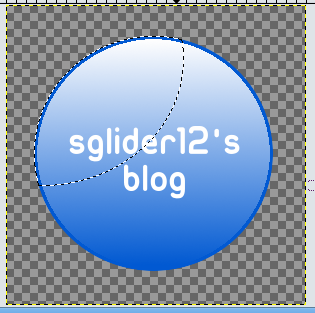 Today I will be teaching you how to make Web 2.0 badges in Gimp. Pretty simple to catch on I must say. 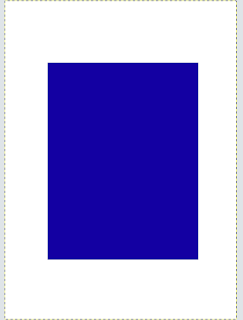 1) Create a new image that is 300x300, white background. 2) Add a new layer. Select the ellipse select tool . Select an area that nearly fills up the canvas. 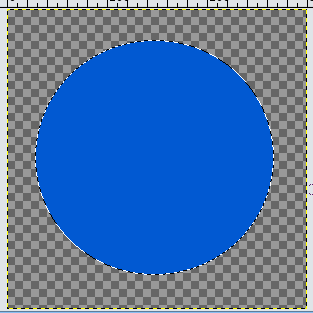 4) With the circle still selected, create a new layer. Go to Select -> Shrink. Shrink the selection by two pixels. Press D to reset your foreground and background colors. Press X to switch them. White should be in front. 6) Now we will add some text. Add the text toward the center with white font. Position it somewhere in the center. Merge the text layer down with the rest of the badge. 8) Now, create a new layer. Fill the selection with white. Lower the opacity to about 33. Merge the layers. 9) Select the layer the badge is on. 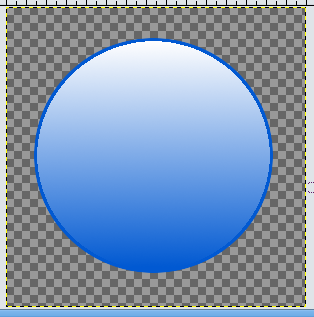 Go to Filters -> Light and Shadow -> Drop Shadow. Set the offsets to zero, the blur radius to 10. Uncheck allow resizing. Raise opacity to about 85. 10) Select the layer that the badge is on. In the layers dialog, click the duplicate layers button. You should now have two badges. Select the duplicated layer. 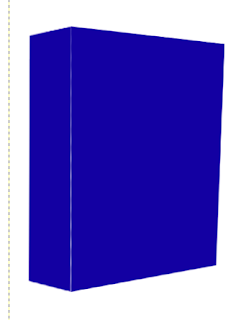 Go to Layer -> Transform -> Flip Vertically. Move the flipped layer under the original layer. Now you can merge the original badge layer with the drop shadow layer. 11) Right click on the flipped badge's layer in the layers dialog and select Alpha to Selection. Select the gradient tool. Choose FG to Transparent. Make sure white is in the foreground. Drag the gradient tool from bottom to top. There you have it! 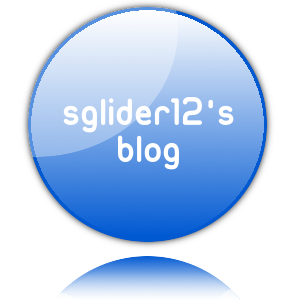 A basic web 2.0 badge. I've seen a lot of tutorials like this on how to make sigs in Gimp. I thought I would make my own, too. 1) First, we need to make a background. I am going to make a grunge style background based on the tutorial from GimpTalk. First, you need to get some grunge brushes in order to do this. Go to DeviantArt.com and search for grunge gimp brushes or just Google some. 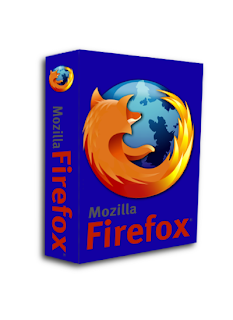 Now, create a new image, 400x150, with a white background. Create a new layer, name it grunge. Brush your grunge brushes on it with a black color. Completely cover the layer. 2) Now, go to Colors -> Color Balance. Change the color balance of the grunge layer to something that suits your needs. You can also go to Colors -> Colorize and change the colors from there. 3) Do a motion blur. 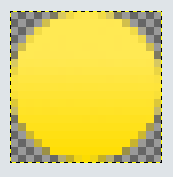 Go to Filters -> Blur -> Motion Blur. Blur Type: Linear, Length:121, Angle:115. 4) Create a new layer. Now use your grunge brushes in white on the layer. Do a motion blur on the layer again. Linear, 160, 0. Lower the opacity to about 60. 5) Create a new layer, name it clouds. Go to Filter -> Render -> Clouds -> Solid Noise. Leave the settings as they are. Now go to Colors -> Color Balance. Play around with the settings until you come up with something you like. 6) Create a new layer. Paint your grunge brushes on this layer in black. Fill up the layer but don't get too dark. When you're done, change the layer mode to Overlay. Create another layer and paint your grunge brushes in white. Set the mode to Overlay. Repeat steps one and two as many times as you want but don't use too dark of colors. Then, use the color balance again. 7) Alright, now that you have a background, you need a render. Go to PlanetRenders.net or Google one. Add your new render to your sig. Position it toward the left or somewhere you like it. What I did with mine was after I positioned it, I made it about 80% opaque, duplicated the layer, then set that layer to overlay. 8) Now, we need to add some text. Position it towards the right. I lowered the opacity on the text, then duplicated the layer, setting the second layer to overlay. There you go. A simple way to make sigs. 1) Open Gimp. Create a new image with a white background, that is 400px by 550px. There you go. Now what I gave you are extremely basic instructions on how to make a software box. Play around with it and figure out what you like best. 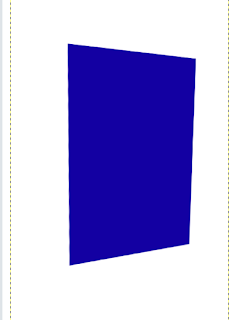 You can add neat little designs to it such as stripes and curvatures and such like the orange bars on my Gimp box, which you can see in my last post.